The Long Dark, the survival game pitting you against the harsh environment and wildlife has a big free update out. As they've been talking about for a while, this update is the overhauled versions of Episodes One and Two. With a third episode due at some unspecified time. Now, all story you experience in the game is played in first-person like the gameplay. All dialogue is also now fully voiced and animated, so it should make for a much more engaging experience. They've adjusted the mission structure, so that side-content is properly optional and not required to progress the story like it was in places before. They've reduced the amount of backtracking required and improved the flow of it overall. They also updated the survival mode to include a Rabbitskin Hat, a new health buff with Well Fed which will buff your Condition and Carrying Capacity and a new challenge to complete. On top of that, they also tweaked the UI, improved the Fire/Stove interaction interface and other misc improvements. The loading screen will also now throw some information at you. Sadly, the Linux version now has some major issues. There's some graphical distortions (likely the same Unity bug others are having) and while forcing Vulkan (-force-vulkan as a launch option) fixes some of them that method for this game introduces other major issues. Unity is currently tracking the issue here. So far, the issues with Unity seem to only affect NVIDIA so if you're on AMD or Intel you should be good to go. Due to those issues, I can't really give it any updated impressions. I've contacted Hinterland Studio to let them know. You can find it on Humble Store and Steam, as it's no longer on GOG for whatever reason. Cool! 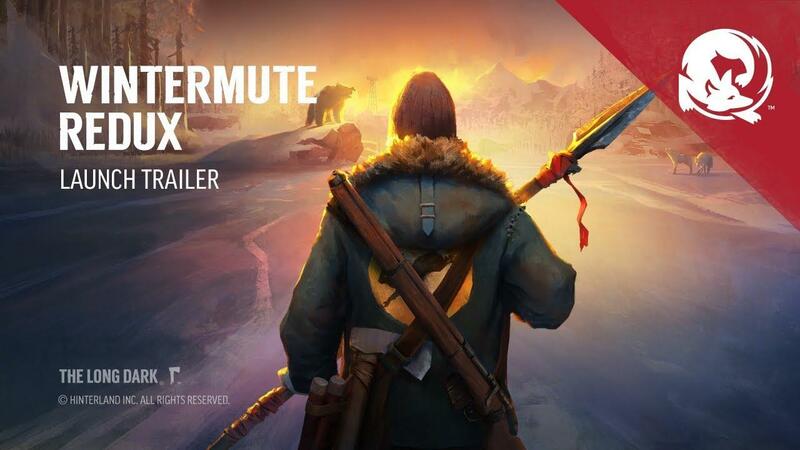 Got this recently and I've been playing survival mode but deliberately avoided Wintermute because I knew this update was coming. Time to jump in I guess! I have the game in my library and was waiting for this update for playing it after viewing some videos of gameplay (I wasn't convinced by third person view for cut scenes and I need some story to push me into the gameplay)... I will now wait for a fix for the Nvidia related bugs (Linux gaming is patient gaming). Awesome, I bounced of this game previously, but when the NVIDIA thing is fixed I will get right back at it, sounds perfect. Far too buggy on Linux so I don't recommend it. Arch wiki has workarounds though. I own it on GOG. Hopefully Hinterland updates it on GOG still, or I'll have to be asking for a Steam key from them. It seems that some objects are overlapping. But it's normal with -force-vulkan. So, does it mean that Vulkan has a limited compatibility with OpenGL? I did not expected any other issues such as graphical glitches. When I run the game I only get this buggy screen, and if I click right away the game crashes. I have to wait for some time and THEN click on the screen so the game can start. It's not as annoying after I moved the game to my SSD, I just click when I see the buggy window, but on the HDD it was very annoying cuz I couldn't start the game, I had to wait allot to make sure it wouldn't crash. I am running Ubuntu and NVIDIA card. The trees render on top of the other objects on the screen. Same for cloud/fog. The game ran fine before this large update. Lets give them some days/weeks to hunt the bugs. Yeah I was having some issues with my 1080 Ti,I was having weird rendering issues with the Windows, I didn't know it was an issue many Unity games were having so I reported the bug to the developers, I didn't know how to describe it so I sent them a video of it with the games log data and some other things.